How to fix “No Service” issue on your iPhone/iPad? To turn cellular data on or off, go to Settings, then tap Cellular or Mobile Data. If you’re using your iPad, you might see Settings > Cellular Data. If you’re traveling internationally, make sure that your device is set up for data roaming. Go to Settings > Cellular > Cellular Data Options > Data Roaming. Restart your device. If you’re not sure how to do this, follow these steps. Tap Settings > General > About. If an update is available, you’ll see an option to update your carrier settings. If the SIM card is damaged, or doesn’t fit in the SIM tray, contact your carrier. Learn more about removing your SIM card. Go to Settings > General > Reset > Reset Network Settings. This also resets Wi-Fi networks and passwords, cellular settings, and VPN and APN settings that you’ve used before. Note: To prevent data loss, you’d better back up your important data before the upgrade. Check that your device isn’t blocked from receiving cellular services and is set up with the right data plan. If your carrier confirms that there’s no issue with your account or network, but you still can’t connect to a cellular network, contact Apple Support. 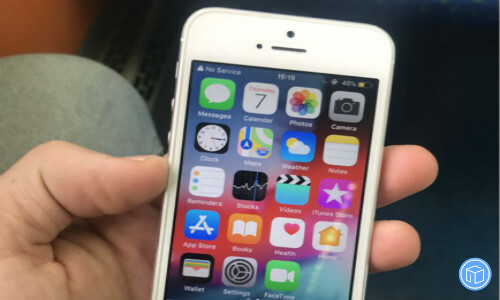 Apple has determined that a small percentage of iPhone 7 devices may show “No Service” in the status bar, due to a component that has failed on the main logic board. These affected units were manufactured between September 2016 and February 2018 and sold in China, Hong Kong, Japan, Macao, and the U.S. This entry was posted in Tips and Tricks and tagged fix “no service” on your iphone/ipad by IosdroneD. Bookmark the permalink.